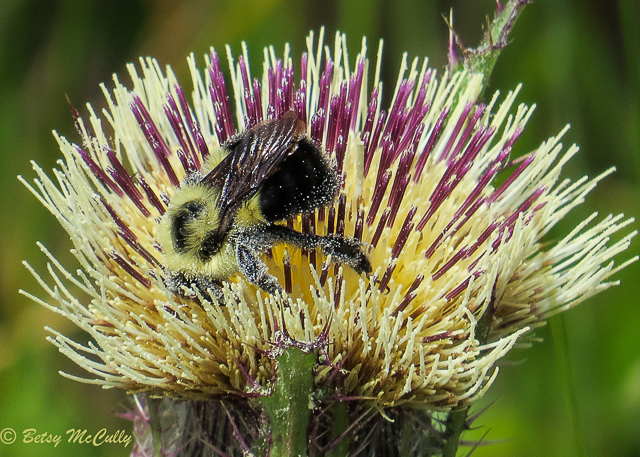 Yellow Thistle (Cirsium horridulum). Asteraceae family. Native. Fields, salt or fresh marshes throughout Long Island. Limited Range. Napeague, Long Island, 2017. Pollinated by bumblebee.